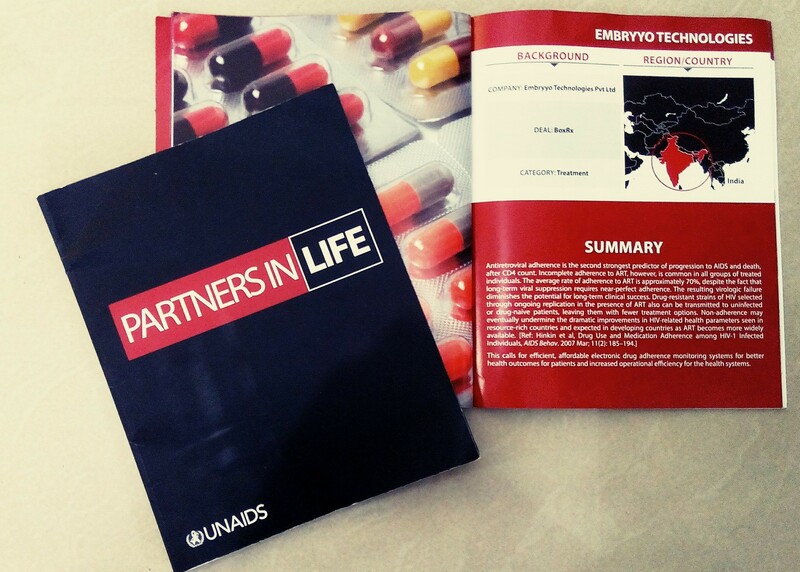 Venture Center’s resident incubatee Embryyo Technologies Pvt Ltd’s drug adherence monitoring system – BoxRx got featured recently in the UNAIDS deal book, as a potential solution for compliance in HIV patients. This book was released at a high level UN general Assembly meeting last month on HIV AIDS and TB in partnership with the Center for Global Health and Diplomacy, USA. This entry was posted in Industry Sector. Bookmark the permalink.